Colors, colors, colors.. while the last posts I was talking about the vivid colors bringing a happy mood, today is the time for the soft/light colors. I don't know what's the meaning of the blue color where you live, but here, it means tranquility, serenity, peace, among others. The outfit of the day plays with pastel blue into a fashionable and fresh style: an embellished textured crop top; origami skort; handbag; wedge sandals; teardrop earrings; delicate bracelet; cat eye sunglasses and to finish a good perfume! Cores, cores, cores.. enquanto nos últimos posts estive falando sobre as cores vivas trazendo um humor feliz, hoje é o momento para as cores suaves. Não sei qual é o significado da cor azul onde você vive, mas aqui, significa tranquilidade, serenidade, paz, entre outros. O look do dia brinca com azul pastel num estilo moderno e fresco: top crop texturizada e bordado; skort origami; bolsa; sandálias anabela; brincos compridos; pulseira delicada; óculos de sol de gatinho e para finalizar um bom perfume! I am seriously so obsessed with that EXACT shade of blue right now! I've been searching for apartment decor accents in that color because I love it so much! I have also been contemplating switching my blog color scheme to that blue! lol. I love pastel colours so much, they make me think of Spring time! Que lindo! Adoro cores assim, suaves e delicadas!! Super romântico esse look Jessica, adoro tons clarinhos assim! Adorei o look....por aqui só preciso que venha o verão! Adoro cores em geral, o que importa e estar bem né? As cores dão uma sensação de tranquilidade. This light blue shade is definitely very calming. The top with the detail on the neck line is so beautiful. 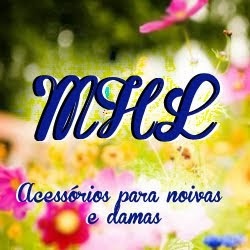 Ainda não conhecia seu blog mas adorei! essa tonalidade é linda mesmo. Adorei as inspirações! Absolutely stunning outfit. I love the wedges. This set is very inspiring, I love the colour palette! Acho linda essas cores! Esse azul carinho tá super na moda também! Very classy and elegant look - I love it! Oi Jessica. Adorei o look, bem clean. so many great picks, I especially love those sandals! Cool look, the bag and the shoes are so cool!! O outfit é perfeito, óptima conjugação de acessórios! I am in love with light blue and blue in general. But those MK shoes are amazing!! This baby blue is gorgeous! This pale blue colour belongs to my favs and I love the looks you show here! 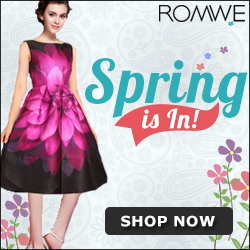 Such a perfect spring look! I love that bag! This is such a lovely outfit! Can't wait for the weather to get better to try something similar! Maybe you wanna follow each other on GFC? You have a lovely blog, let me know! I can so see myself wearing this outfit- the color combination is so, so beautiful! The pastel blue is one of my favorite colors at the moment! Muito fofo esse tom de azulzinho, adoro!!! Really cute collection of pastels.Thank you for the lovely messages on my blog. really cute post! love the color combos! I love your board, it really has a fresh feeling about it! Also, Daisy Dream is my absolute favorite (even wearing it right now :) ). Esse tom de azul é lindíssimo! Adorei o look, tá incrível! I love all the pastel shades and nuteral colors!!! Really amazing and inspring board you´ve putted together!!! Love your blog! Followed you on GFC! Would love if you followed back! Such a gorgeous look for spring! That top and bottom are so cute together and the shades on both are lovely! Love the whole outfit...those sandals are gorgeous! I love this combo, it's so soothing! A great composition, a wonderful and sweet cat!!! What an amazing set, I am obsessed with the same shade of blue for spring! the white and light blue reminds me about Alice in Wonderland and I love to feel like her in that enchanted world. Amo demais cores assim e o look de inspiração ficou uma fofura e delicado. Love the soft colors of this outfit. Very lovely set; I like the color combo..have a great week.